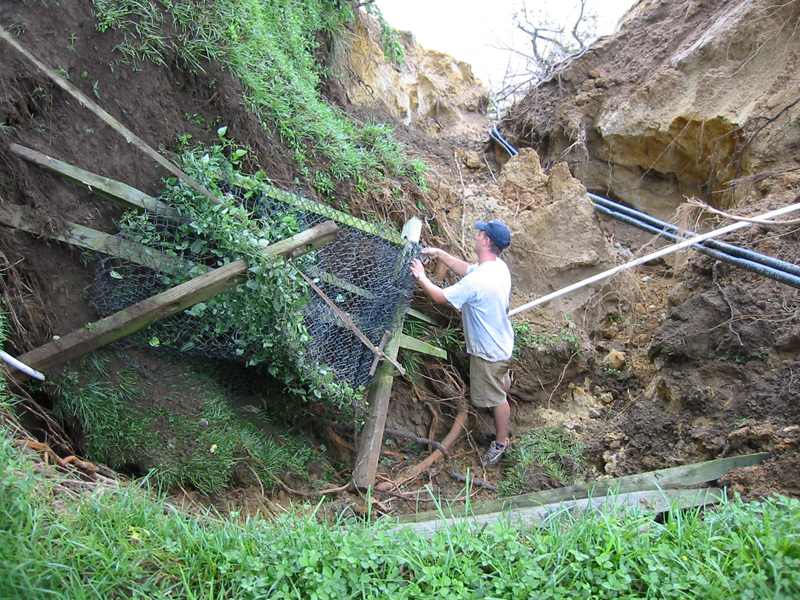 River bank damage from Isabel 2004. 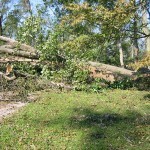 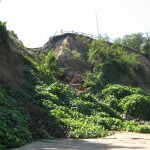 Bank damage area from beach 2006. 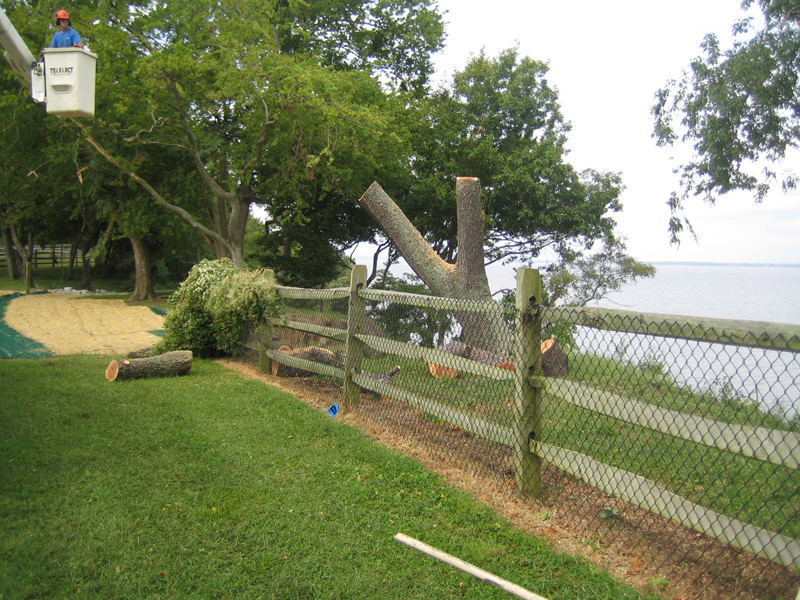 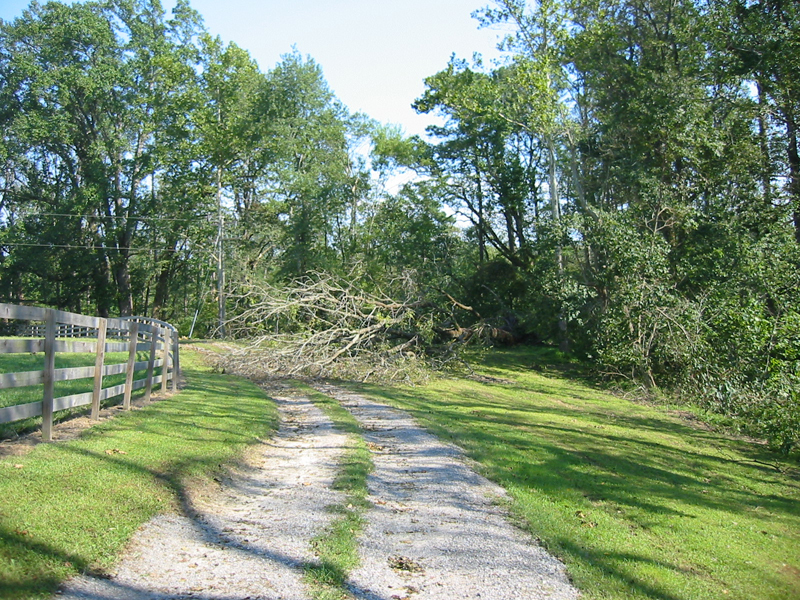 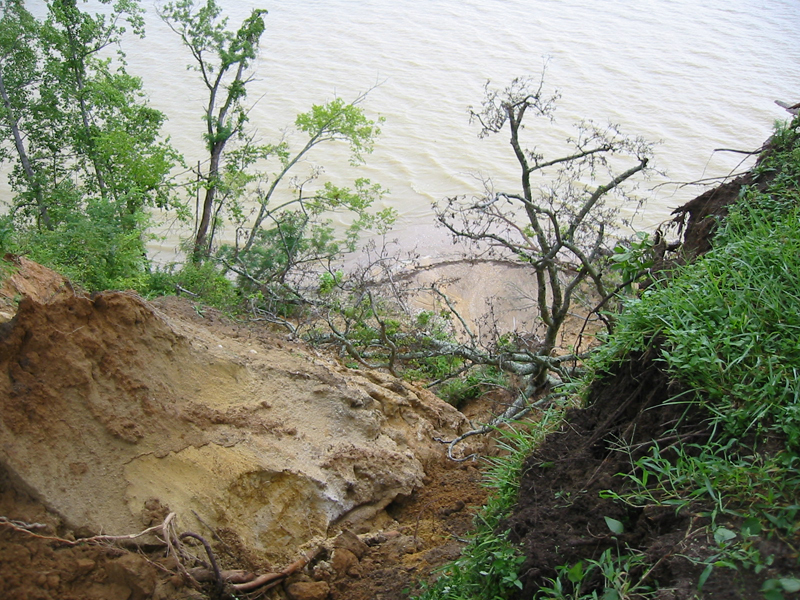 River bank damage, near Cottage 2005. 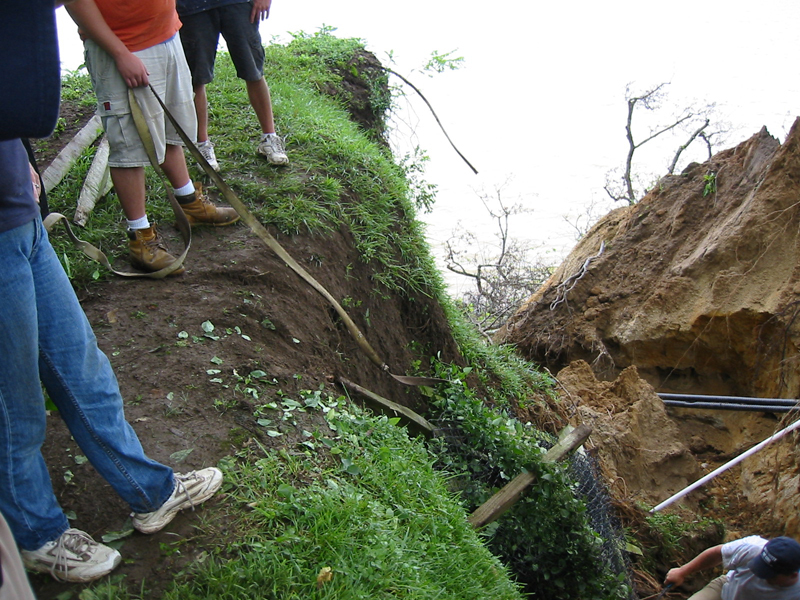 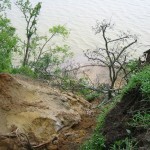 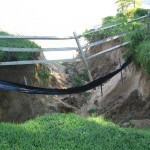 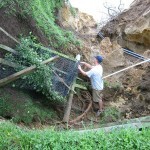 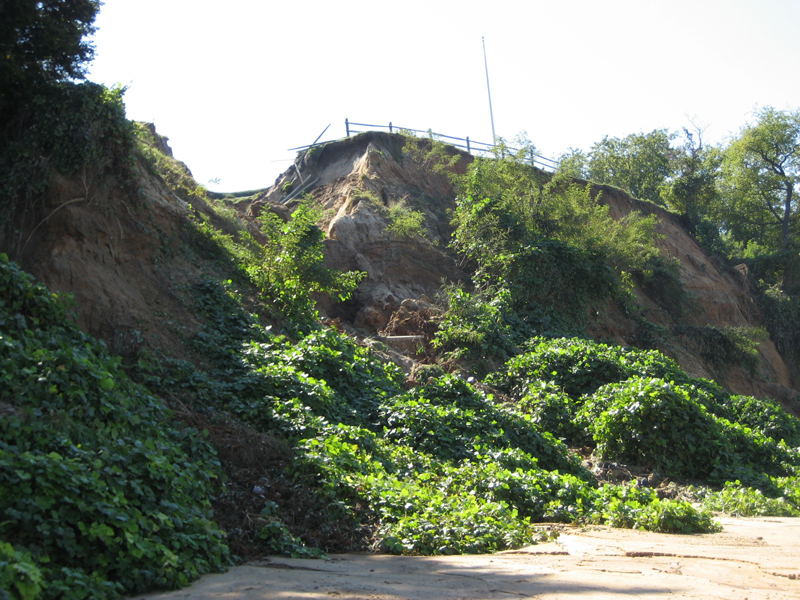 Erosion damage, near Cottage 2004. 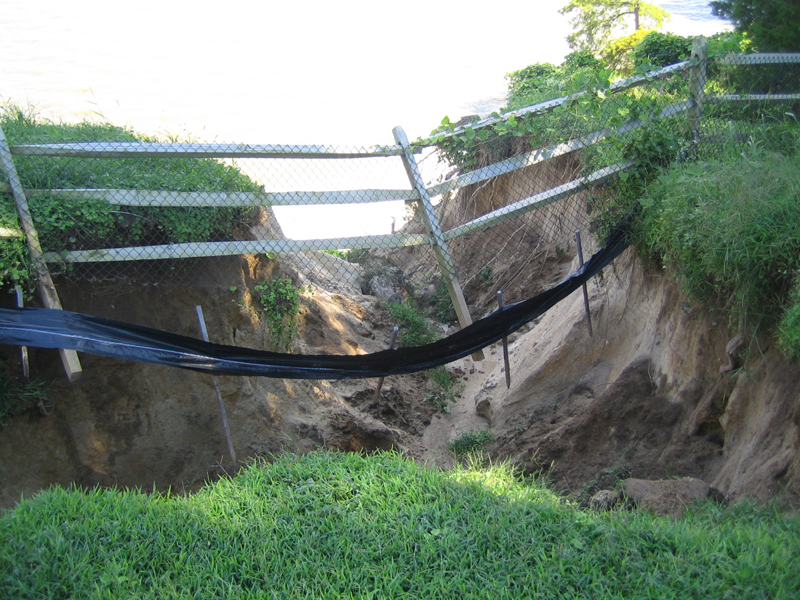 More erosion near Cottage 2004. 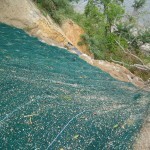 Filling in erosion on the bank. 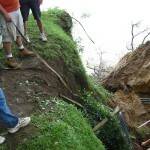 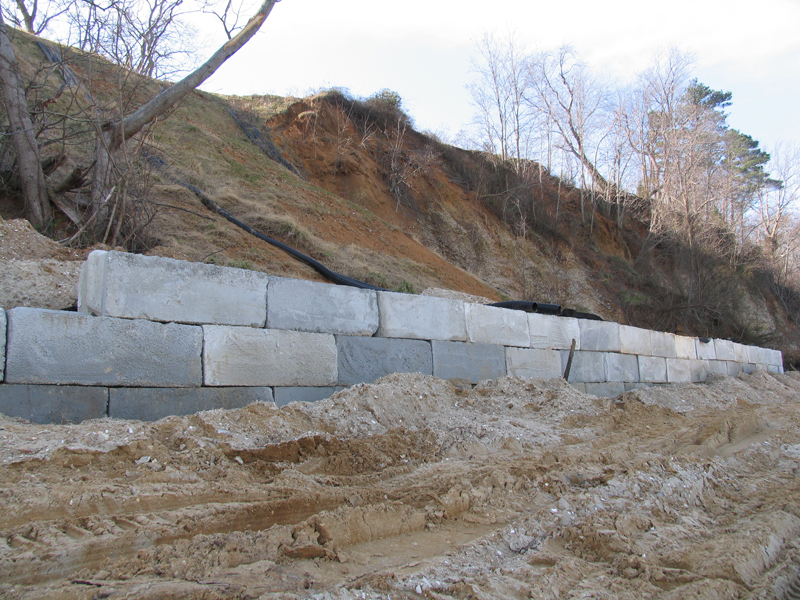 Decreasing bank slope, Cottage 2005. 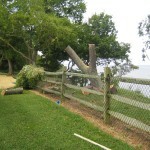 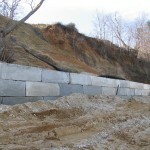 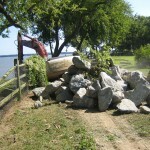 Bolders to stabilize bank near Cottage. 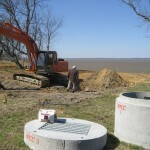 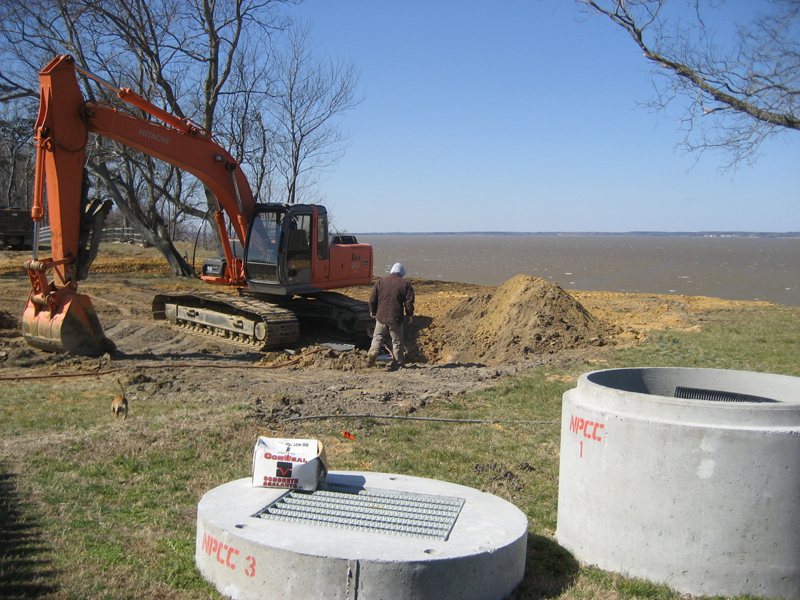 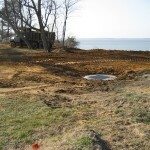 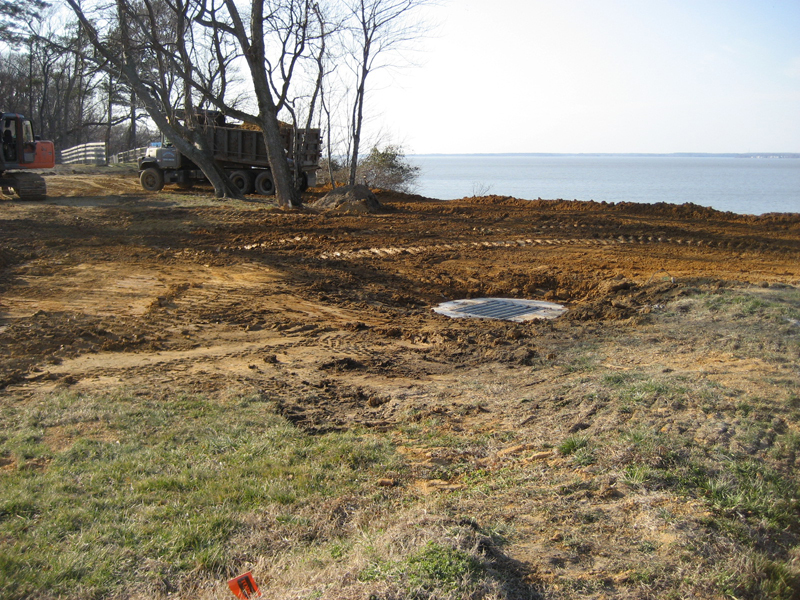 Drainage system installed near Cottage. 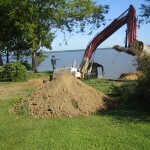 New drainage system, Cottage 2007. 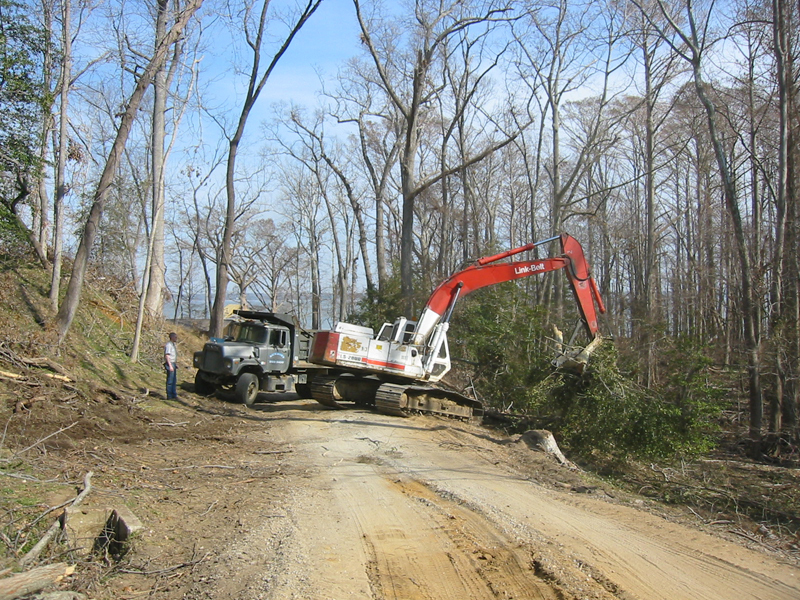 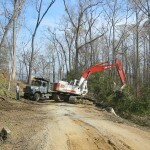 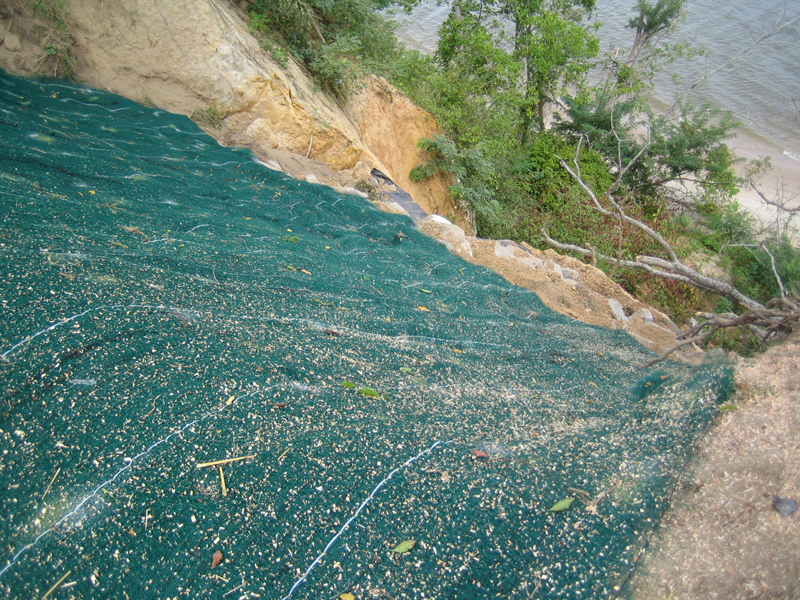 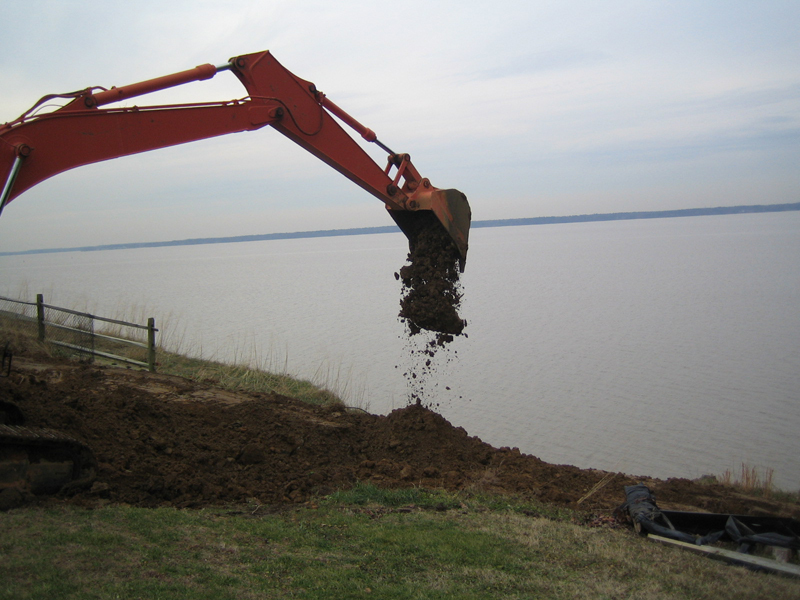 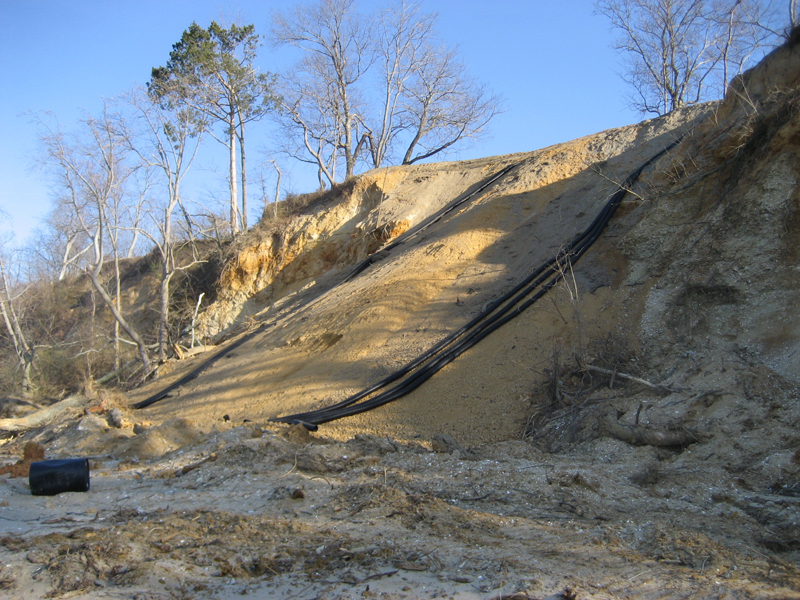 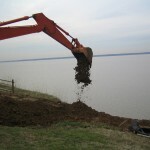 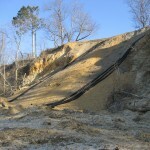 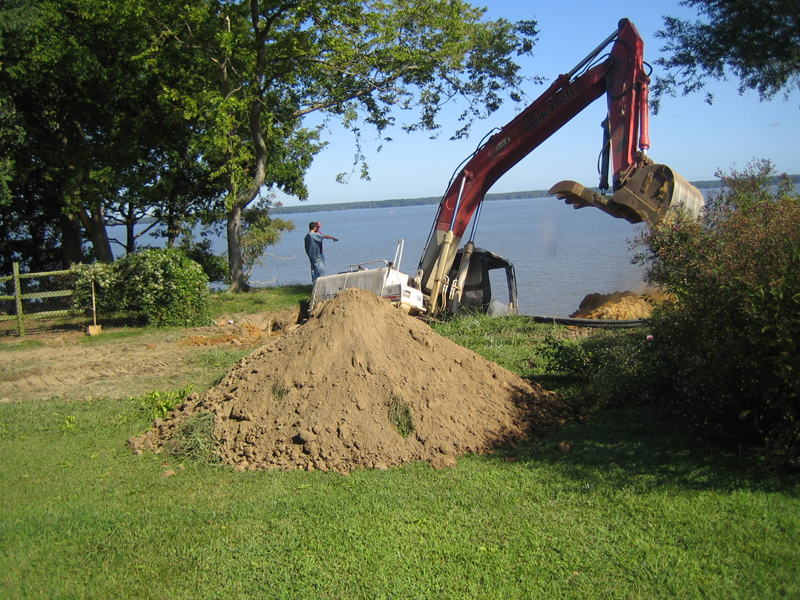 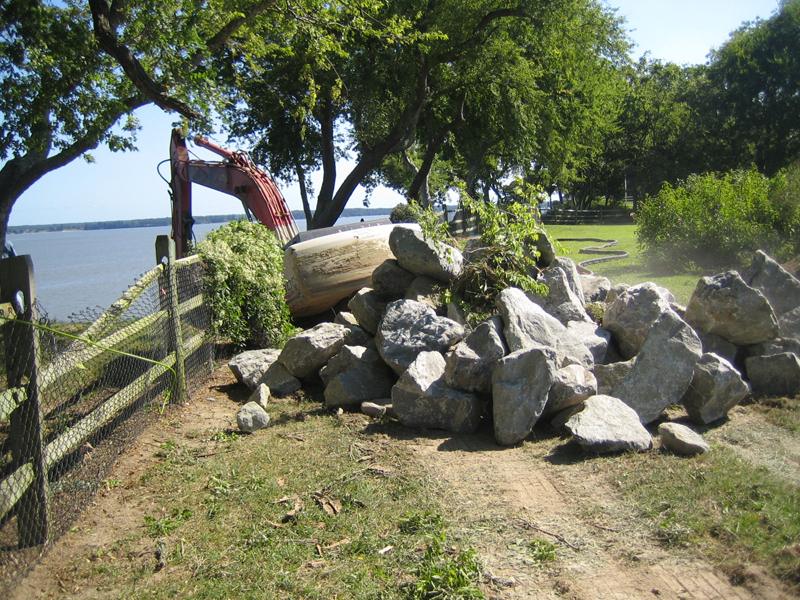 Regraded bank at Cottage 2005. 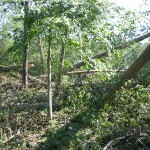 Tree loss along the bank everyday problem. 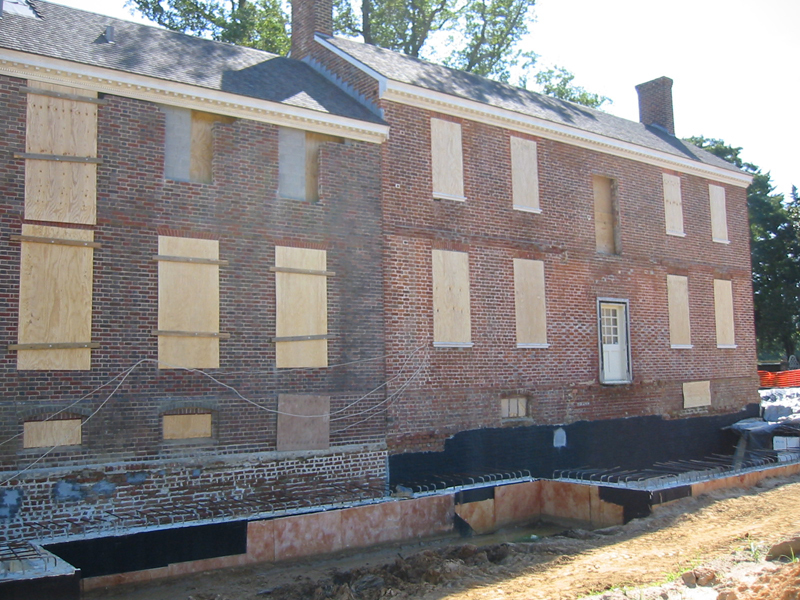 Mansion boarded up ready for Isabel 2003. 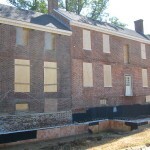 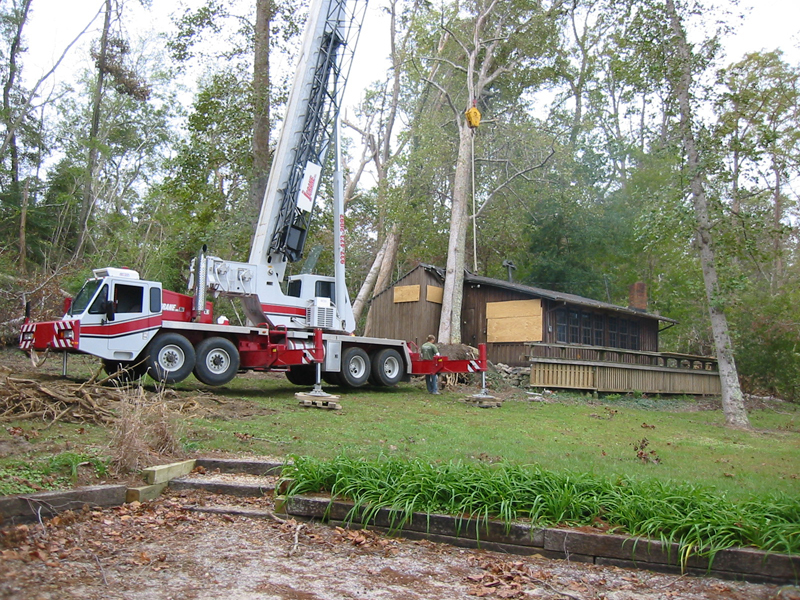 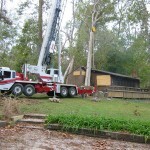 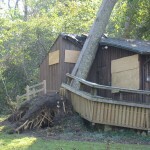 Damage to River House from Isabel 2003. 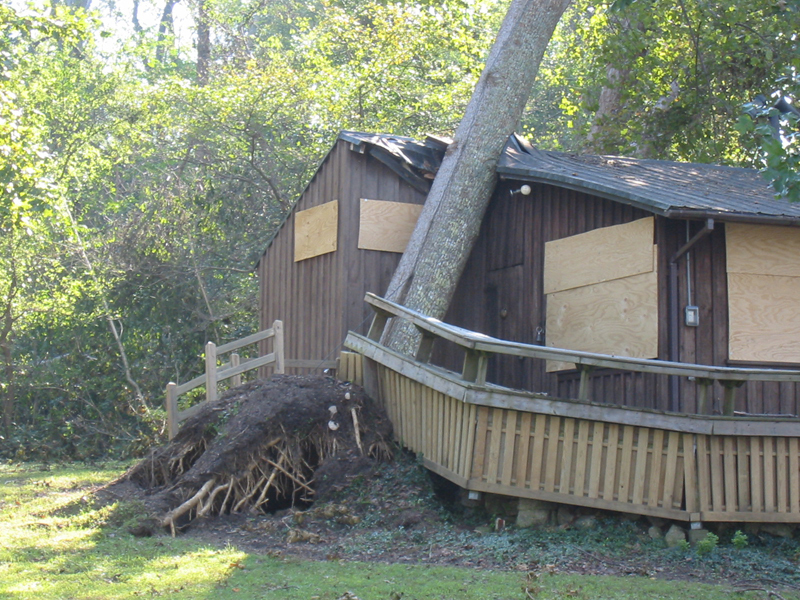 Isabel 2003 tree damage to River House. 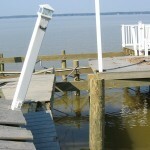 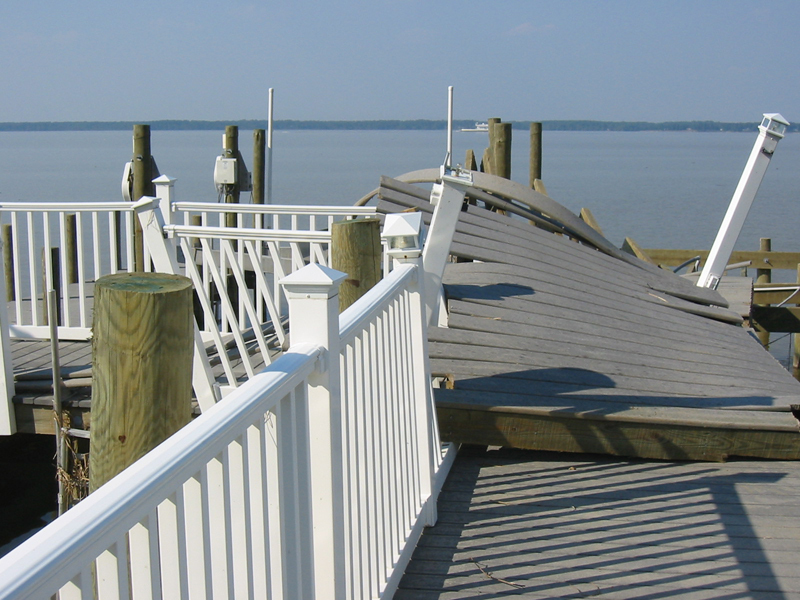 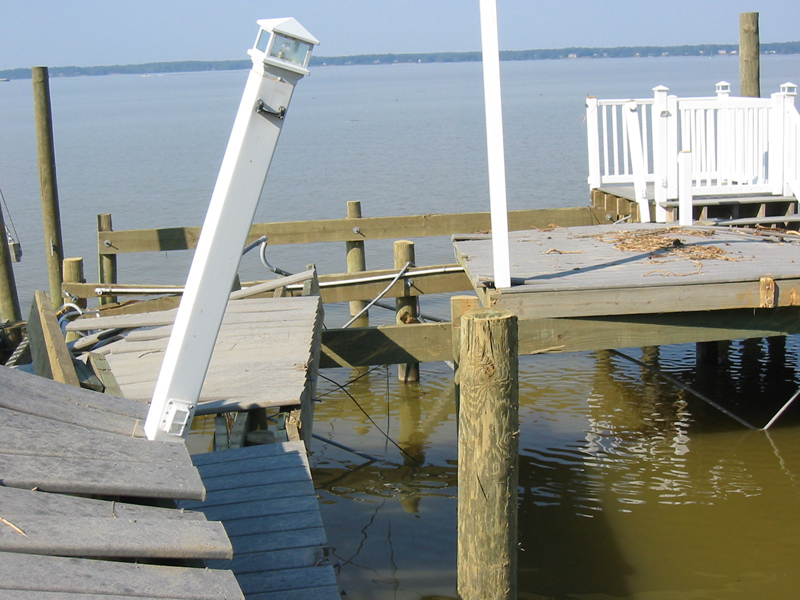 Isabel damage to docks 2003. 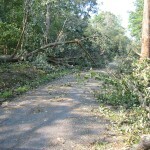 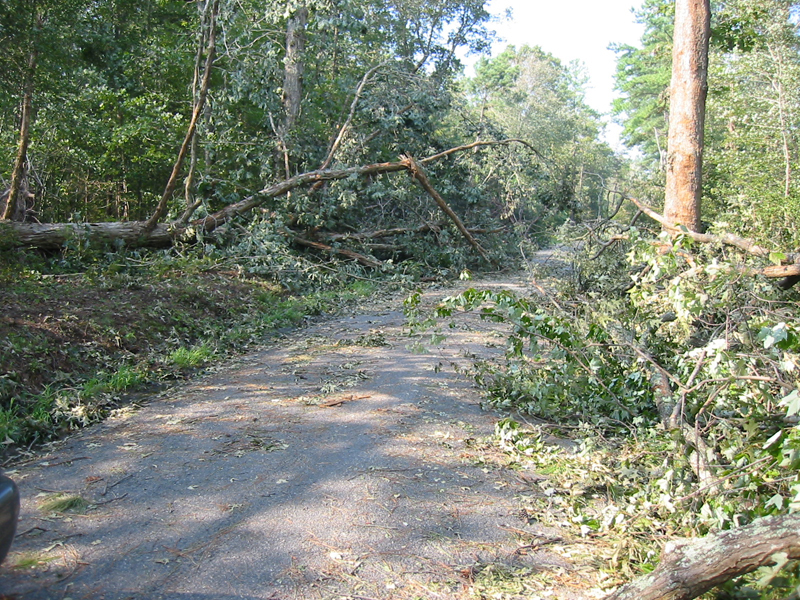 Isabell blocks the roads 2003. 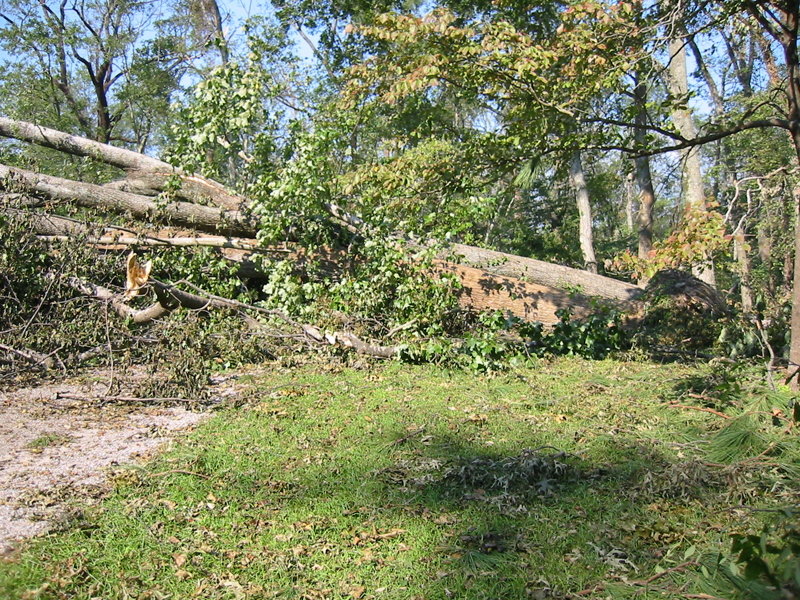 Isabel trees fell over Mount Pleasant drive. 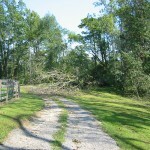 Isabel downs trees on the estate drive. 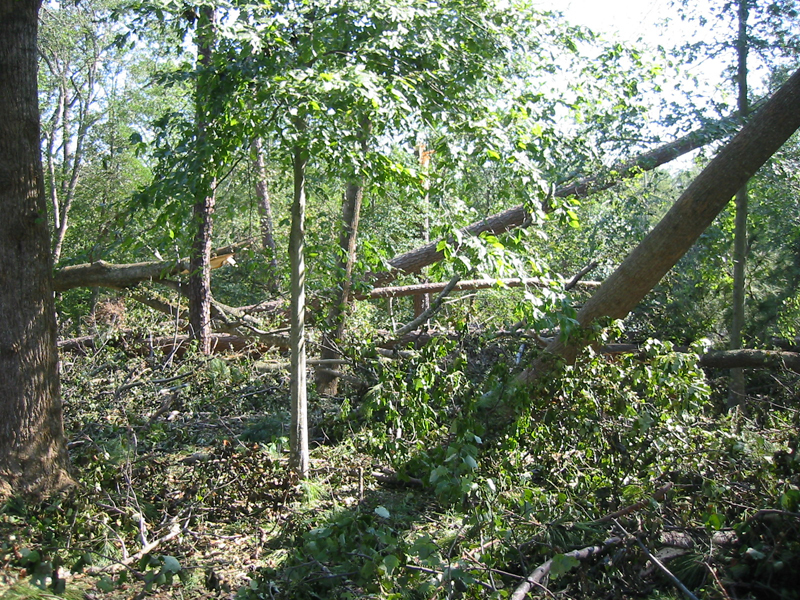 Isabel devastates Mount Pleasant forest. 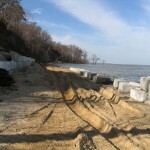 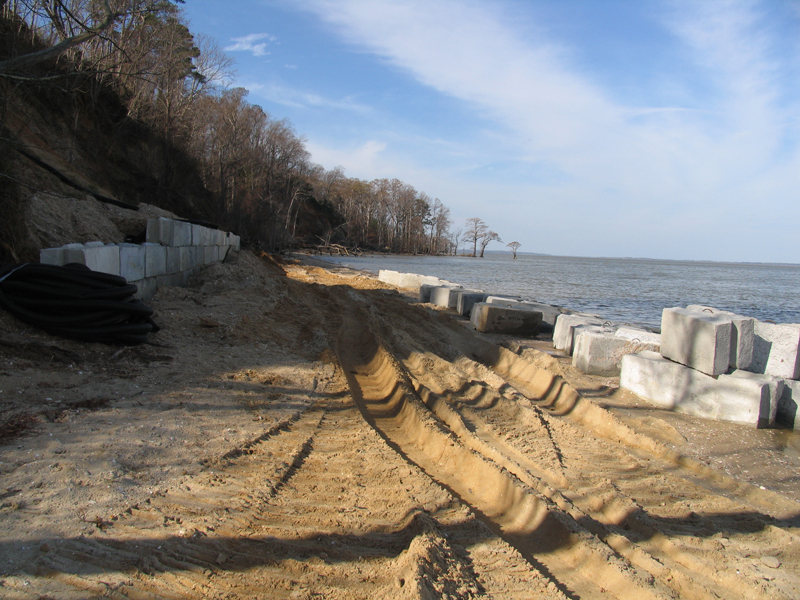 Building an storm barrier along the shore. 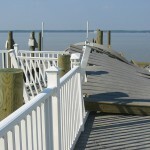 Storm barrier placed at selected weak spots on shore.